"To me my X-Men". 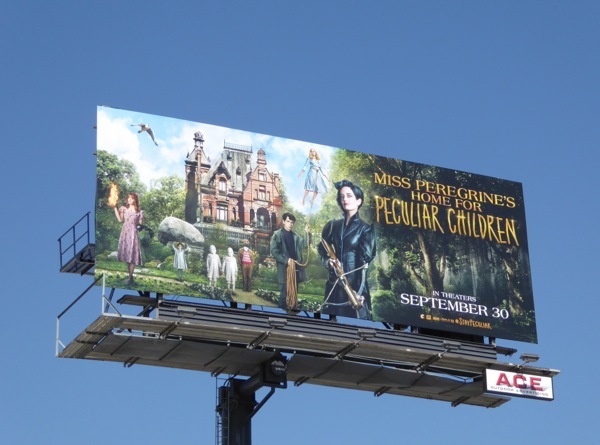 There's certainly something a little Charles Xavier and his School for Gifted Youngsters, and even Harry Potter, about the new Miss Peregrine's Home for Peculiar Children film. 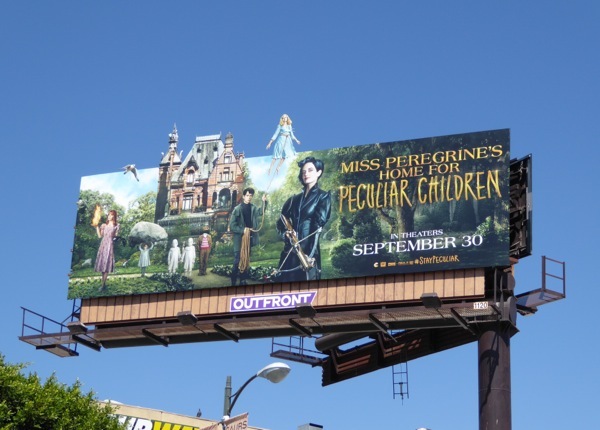 Based on the 2011 debut novel by Ransom Riggs, Tim Burton directs Eva Green as the titular headmistress with the power to transform into a peregrine falcon, protecting an eclectic mix of kids with peculiar abilities like pyrokinesis, super-strength, floating, invisibility and even an extra mouth in the back of their head. 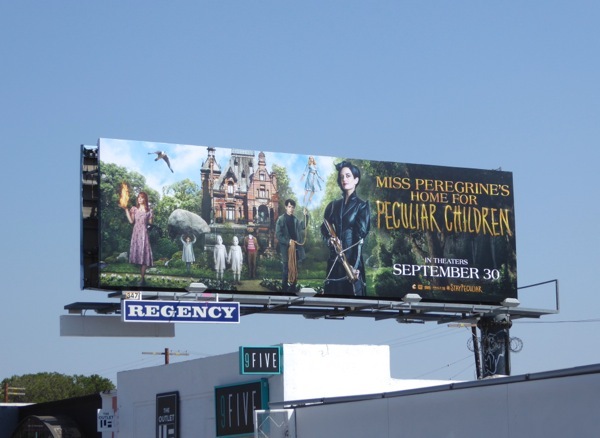 In the film a boy discovers a mystery that spans different worlds and times, and finds out his own 'peculiarity' may be the key to saving his new magical friends. 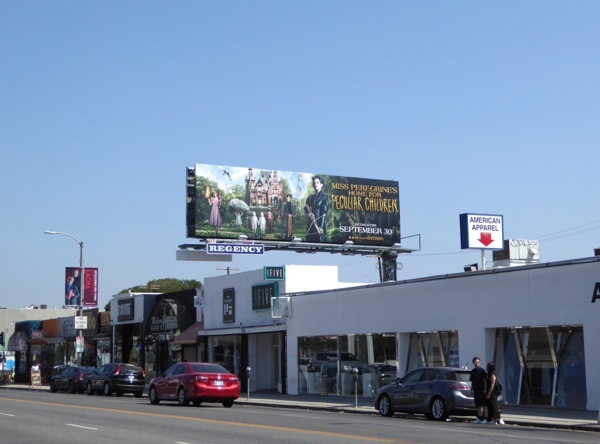 These movie billboards showing off the children's fantastical abilities were first snapped along Highland Avenue, Melrose Avenue and the Sunset Strip from September 3 to September 7, plus the special extension cut-out version was photographed above Hollywood Boulevard on September 16, 2016. 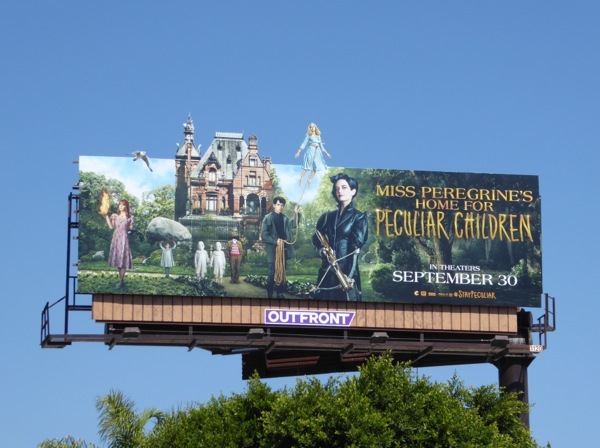 If you're a fan of the novels, be sure to also check out these original film costumes from Miss Peregrine's Home for Peculiar Children on display. 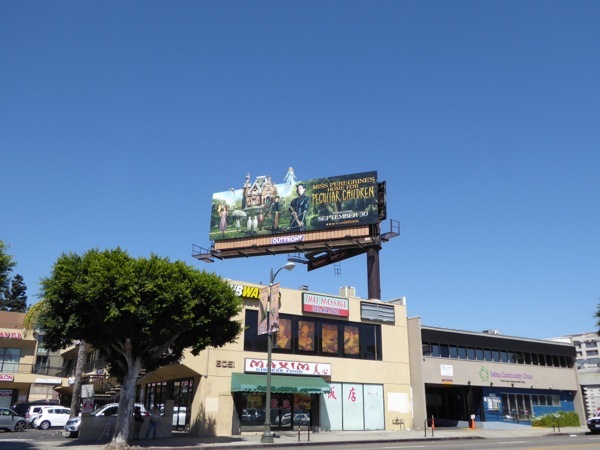 Admirers of Eva Green can also enjoy these Penny Dreadful TV series billboards, these 300: rise of an Empire movie billboards and these Sin City 2 movie billboards from recent years. 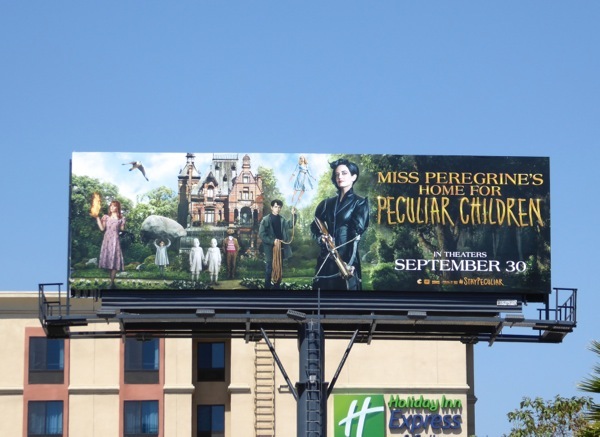 If you had a choice, what peculiarity do you wish you possessed?